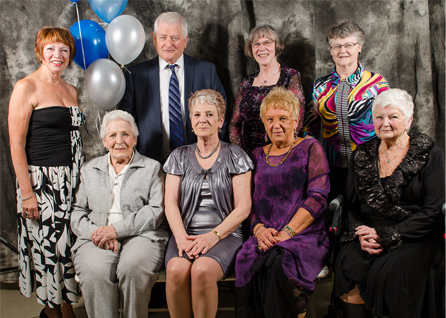 The Carleton Place & District Memorial Hospital Auxiliary was formed on May 22, 1953, two years before the hospital was opened. Its goal was to ensure both patient care and comfort through fundraising activities and service within the hospital. Ninety women attended the first meeting and elected Mrs. Annie Johnston as their first president. The dedicated, caring members of the CPDMH Auxiliary donate an average of 20,000 hours per year in support of the hospital. Each day volunteers, wearing the Auxiliary’s blue tunics, can be seen throughout the CPDMH, assisting in patient care. Today, our members include both men and women - working folks, seniors, young moms and dads, and new members of our community. If you're interested, give us a call or come to a General Meeting to see what we're about. We have a wide variety of programs and fundraising activities that might interest you. We look forward to welcoming you to our Auxiliary!